Montreal had done this before earlier in the series, but with less success. In game two, the team carried the play, only to see Boston score three goals in the final 10 minutes to steal a 4-3 victory. In game four, Montreal dominated again but lost 1-0 in overtime. What made game six different was that in the third period, Montreal got better not worse. Meaning, there were less turnovers, more pressure and more scoring chances. It was an impressive win. Montreal outshot Boston 28-26 giving goaltender Carey Price his fourth career playoff shutout. Is it a coincidence that all four have come against the Bruins? No because this is a rivalry where everyone plays their best. Price was intense in game six, clearing all his rebounds, standing aggressively at the edge of his crease and not losing sight of the puck. The goalie on the other end may have a Vezina nomination, but Price beat Tuukka Rask handily in game six. Can he do it again? Carey Price is known for his intensity and he will have to remain calm and collected Wednesday if Montreal is going to win game seven. Alexei Emelin, while killing a penalty threw some massive hits, sending Milan Lucic and Zdeno Chara to the ice hard. Mike Weaver, who Montreal has to resign this summer, blocked shot after shot and still was more than willing to challenge Chara to a scrap once the score was out of reach. And Nathan Beaulieu , in his first pro playoff game, looked like a seasoned vet blocking shots and moving the puck. His stretch pass to Pacioretty put the Habs up 2-0. Offensively, after being criticized for not scoring, Pacioretty and Thomas Vanek both found the net when it mattered. All they had to do was simplify their game, shooting the puck instead of trying fancy moves. Without those guys scoring, the Habs would be cleaning their lockers tomorrow, not facing the Boston crowd one more time. Lars Eller, Tomas Plekanec and Brendan Gallagher all rose to the occasion with offensive cycles and big hits, while Brian Gionta and Daniel Briere brought the veteran leadership needed to get the job done. Gionta and Plekanec led the forwards in ice time, mostly diving for pucks on the penalty kill or winning faceoffs in the defensive zone. Lars Eller opened the scoring for Montreal in game six. But none of what happened in game six matters. Montreal can beat Boston and advance, but the only way they will is if they play as close to perfect as possible. That means Pacioretty and Vanek have to keep bringing the offence. That means Emelin and Weaver have to continue to challenge and shutdown the Bruins’s big guns. That means PK Subban has to be his best. 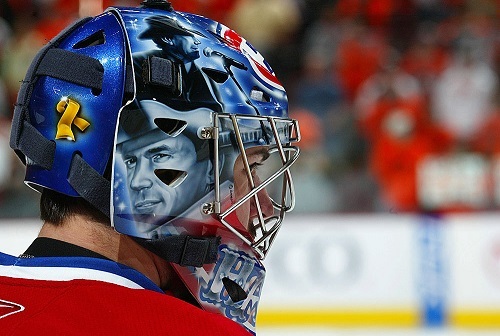 And Carey Price needs to stop every shot fired his way. The team showed they can do it in game six, but they will need to do that and more in game seven. 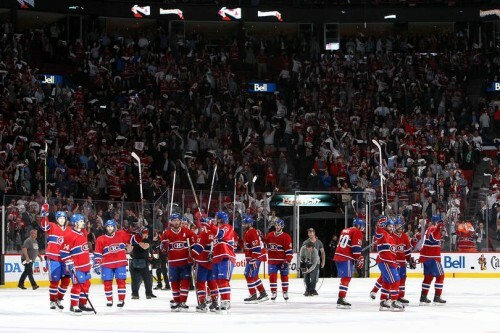 Montreal is no longer the under dog, but until they win Wednesday, they will not be considered a contender. A win on Wednesday, will put them one step closer to the Cup. One step closer to ending a 21 year drought without a win. Head Coach Michel Therrien summed up Montreal’s chances in game seven perfectly.